Check out our lasted blog post #FridayReads about Katie Radewald's Fayetteville High School English as a Second Language class raising nearly $1,000 for the CSC while gaining self-confidence and a sense of community. Protect Your Kids With FREE Training! 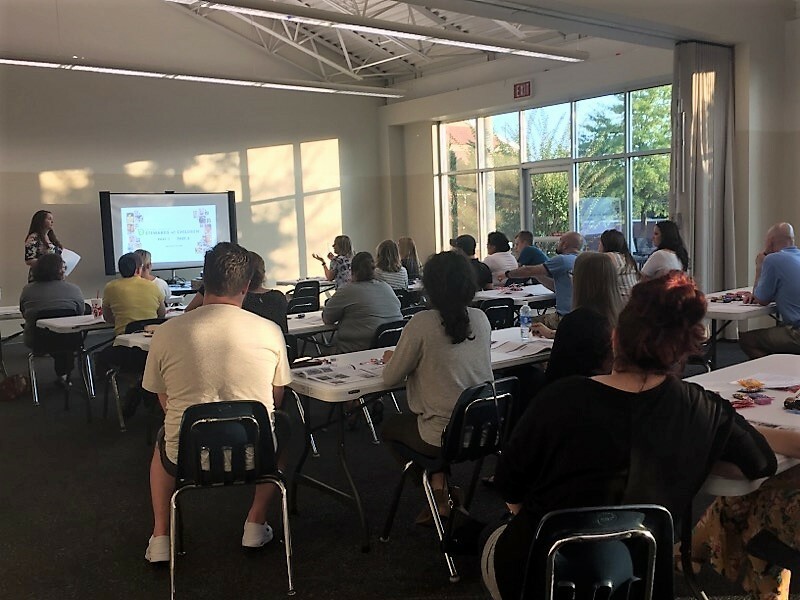 Join the Children's Safety Center for our FREE Steward’s of Children training Tuesday, November 9th from 6-8pm at the Springdale Center for Nonprofits Library, 614 E. Emma Ave. Springdale. In the same building as the Children's Safety Center. Stewards of Children is a 2 hour workshop that addresses child sexual abuse in the context of today’s issues and teaches you a simple, 5-step approach that can protect the children you love. You also receive a free workbook to take with you and a certificate of completion. If you have not yet had the opportunity to experience this magical event, we invite you to join us for this year’s train ride. 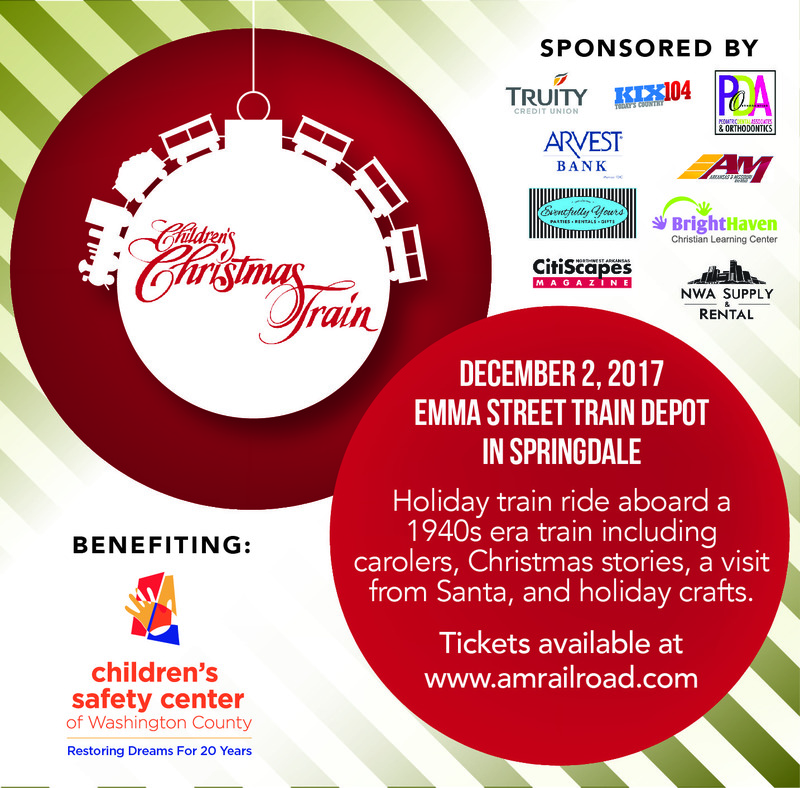 Children’s Christmas Train riders will depart from the Emma Street Train Depot in Downtown Springdale on Saturday, December 2nd aboard a restored 1940's era train. The 40 minute ride to Johnson and back will include singing Christmas carols, stories, and even a visit from Santa himself! After returning to the Train Depot families can enjoy holiday games and entertainment – ride ponies dressed as reindeer, operate a model train, participate in the cake walk, write a letter to Santa or just enjoy the characters and live music in Santa's Village. Children and families are also encouraged to dress in Holiday attire. Children 2 years of age and under do not require a ticket but will have to sit on your lap, $10 for ages 3-12, and $20 for adults. Rides are on the hour every hour from 8:00am - 3:00pm. Santa's Village is open from 9:00am - 3:00pm for kids crafts and activities. The Children's Christmas Train is a fundraiser for the Children's Safety Center. We are needing volunteers for various activities including singing carols on the train, dressing up as Christmas characters, helping out in Santa's Village, and much more. Twin Box Spring: We have a child who is needing a new or slightly used twin box spring for her bed. She has a bed frame and mattress now, but isn’t able to get the mattress to fit on the bed frame without a box spring. Currently she is sleeping on her mattress on the floor. Wii & Xbox 360 Games: We are needing new to us games for our Wii and Xbox 360 that our clients use at the Center. Also, if you have a slightly used and newer Xbox and/or controllers, we will gladly take those as well.